The far north coasts of Bali boast an incredible diversity of underwater life in stark contrast to the south, beautiful wall drop offs of healthy reefs. Blue Corner Dive operates out of Pemuteran to take guests diving to Menjangan Island and other sites in Northern Bali. Our dive centre is centrally located in Pemuteran village close to a range of hotels and restaurants. We also have a dive centre located within the West Bali National Park at the NusaBay Menjangan Resort for guests looking to get back to nature. Two boat dives for certified divers at different sites within the Marine Park. Menjangan has spectacular coral reef's and great macro diving. Want to try diving? If you are not a certified diver our PADI instructor can take you out to experience the beautiful reefs. The experience starts with theory and brief training followed by a supervised dive to a maximum of 12m depth. Another option for guests waiting to try diving. Begin with a training session with our PADI instructor followed by TWO dives to sites around Menjangan Island. The reefs around the marine park of Menjangan Island make for great snrokelling with plenty of healthy coral, turtles and schools of fish. Boat trips to Menjangan Island subject to National Park entrance fee of IDR 200.000 / person per day. Single shore dive for certified divers. The house reef accessed from the dock in-front of the dive centre is a nice place to explore with sloping coral gardens hosting a large diversity of reef fish. Rent a set of snorkelling equipment for independent exploring from the beach. Formerly Shorea Beach Resort, NusaBay Menjangan is now managed by WHM, a uniquely Balinese management group that combines contemporary, rustic style with warm and friendly Balinese hospitality. 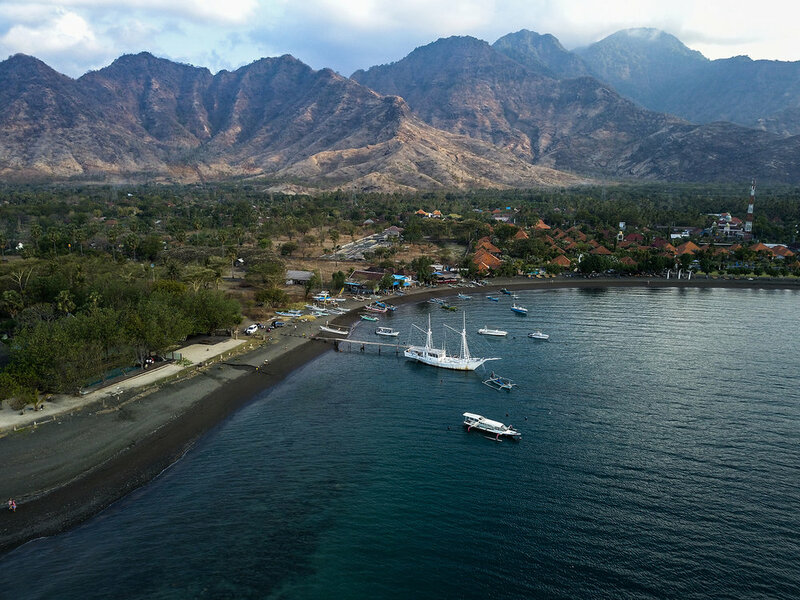 Nestled on the shores of Tanjung Kotal Bay, NusaBay Menjangan brings the natural beauty of West Bali National Park to a small number of guests at a time, with only 14 Lanai Cottages and 2 private villas. One of the most significant natural treasures on the island of Bali, Menjangan, just 10 minutes boat ride away, offers world famous diving, unspoiled white sand beaches, crystal clear water and nature at its most pristine. West Bali National Park is a protected national heritage area. NusaBay Menjangan is the only resort located within the astoundingly beautiful national park’s Prapat Agung peninsula, sharing Menjangan island’s blue ocean and its rich marine life. It is the ultimate getaway for nature lovers, divers and those seeking a serene getaway.